What could an earthquake feel like where I live? 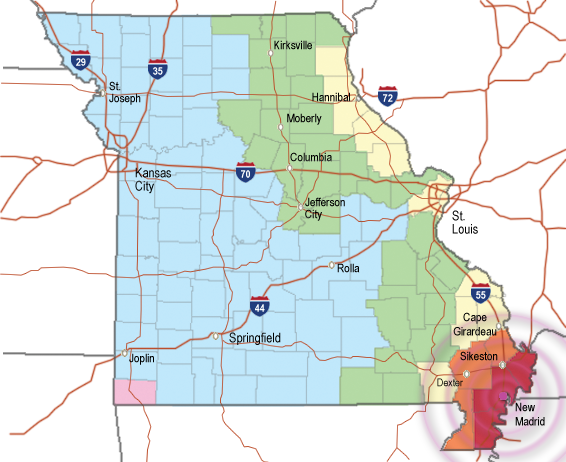 Click on several map locations below to find out how a large earthquake in southeast Missouri’s New Madrid Seismic Zone could affect you,as well as your friends and family. These estimates are based on projected results of a 7.6 magnitude earthquake,which scientists say is a likely expectation from the next big New Madrid earthquake. 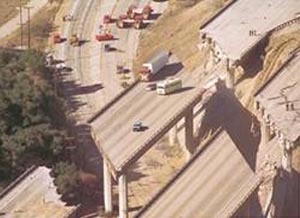 The damage estimates are based on the Modified Mercalli Intensity Scale,which measures the effects of an earthquake on the Earth’s surface. 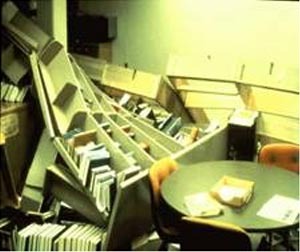 Note: Damage estimates may vary depending on earthquake depth,magnitude and epicenter,as well as types of soil and buildings. Well-built wooden structures are severely damaged and some destroyed. Most masonry and frame structures are destroyed,including their foundations. Some bridges are destroyed. Dams are seriously damaged. Large landslides occur. Water is thrown on the banks of canals,rivers,and lakes. Cracks are open in cement pavements and asphalt road surfaces. Most buildings sustain damage. Houses that are not bolted down move off their foundations. Some underground pipes are broken. The ground cracks conspicuously. Reservoirs sustain severe damage. Drivers have trouble steering. 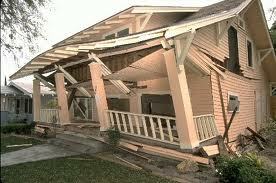 Poorly built structures sustain severe damage. Substantial buildings partially collapse. 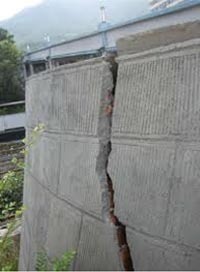 Slight damage even to structures specially built to withstand earthquakes. Tree branches break. Houses not bolted down might shift on their foundations. Tall structures such as towers and chimneys might twist and fall. Temporary or permanent changes in springs and wells. People have difficulty standing. Considerable damage to poorly built buildings and walls. 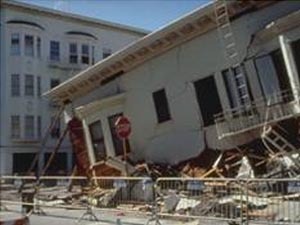 Damage is slight to moderate in well-built buildings. Numerous windows are broken. Weak chimneys break at roof lines. Cornices from towers and high buildings fall. Loose bricks fall from buildings. Heavy furniture is overturned and damaged. Everyone feels movement. Poorly built buildings are damaged slightly. 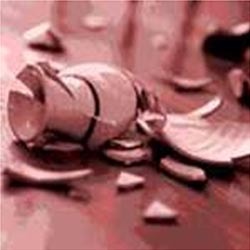 Many dishes and glassware,and some windows are broken. People have trouble walking. Pictures fall off walls. Objects fall from shelves. Plaster in walls might crack. Some furniture is overturned. Small bells in churches,chapels and schools ring. Almost everyone feels movement. Most people are awakened. Doors swing open or closed. Dishes are broken. Pictures on the wall move. Windows crack in some cases. Small objects move or are turned over. Liquids might spill out of open containers. Click a location on the map to begin.